As we grow older, our skin after being subjected to various hazards tends to go dull. Maintaining the natural bright skin can be a tough job and with the products available in the market, the results cannot always be trustworthy. With the busy schedule all around the clock, we forget to eat the diet required to keep us healthy and fast food, since it becomes the new alternative has negative results on our skin, for example oily skin is one of those kinds. In fact, most of us don’t realize that nature has provided us with many products that can come handy while. Being a member of the citrus fruit family, lemons are rich in Vitamin-C and the antioxidants control premature skin aging. Lemons also contain innate skin whitening properties and that is why this is very famous against dull skin. Consuming lemon juice early in the morning to flush out the toxins or washing your face with the same so that the antioxidants and anti-septic functions can be executed. Sugar has been regarded as one of the best product against exfoliating the dead cells. Mixing one tablespoon of sugar with water till it becomes a paste and that can be applied on the targeted area to allow the dead cells to vanish and the new cells to come out and flourish. 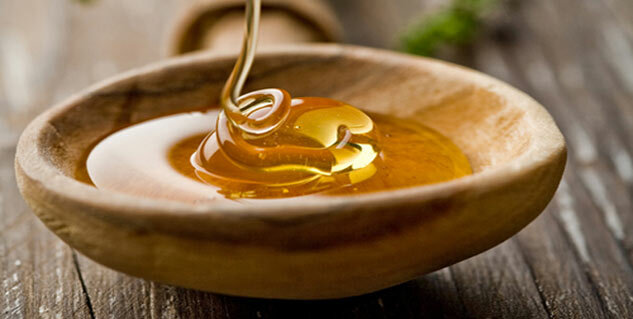 Honey is one of the best when it comes down to anti-septic properties. Others also include anti-inflammatory, antioxidants and skin brightening and thus this product is great for the desired results. A mixture of honey & lemon juice can be applied directly on the dull parts of the body which is to be washed with water eventually. The honey combines well with lemon and it soothes the skin and leaves it radiant. Sweet almond oil can help your skin boost its moisturizing and nourishing capabilities. The almond skin can be easily peeled and this if mixed with milk, the paste formed is good enough to be applied on the skin. Furthermore, eating almonds in the morning can also replenish your skin from within and makes the skin heathier. Coconut has been used for various reasons and skin complications can be countered by the same. Dehydrated skin makes the skin look even duller after the natural brightness disappears and thus it is very important to keep the skin hydrated. A mixture of coconut oil and honey is the way to go about it and the mixture so formed can be applied directly on the affected area. The aftermaths are astonishing as the skin is left hydrated and soft. This also fights against premature ageing of skin. Munching walnuts, apart from the taste can also be healthy for your skin. The presence of iron and zinc can retain collagen with omega-3 fatty acids that helps in skin elasticity. Walnuts shell powder along with papaya can be mixed well to get a blend that can help exfoliating the dead skin. As reiterated before, hydrated skin can be a major reason why the skin starts getting dull. Cucumber has cooling properties and if mashed cucumbers are applied on the dull skin, it can help in skin rejuvenation by holding the moisture, thus keeping the skin hydrated. This would naturally bring back the glow and would be best during the dry season. Firstly, a cup of Aloe Vera can be consumed every morning on an empty stomach. The gel inside the stem has properties that the skin seeks i.e. antibacterial, anti-inflammatory, and anti-ageing, anti-septic etc. The gel can be applied directly on the skin and more to the earlier mentioned benefits, after applying and washing it off, the skin remains hydrated for a prolonged time. Apricots not only help in brightening the skin, it is rich in Vitamin-A which can keep the skin soft and subtle. This also acts as an exfoliating agent and help getting rid of clogged pores. Mixing mashed apricots with olive oil and applying it on the dull parts would be enough to get rid of the dead cells and gives you a brighter shade. Looking to munch during midday, then strawberries are just the fruit that you would require for dull skin. Packed with Vitamin-C and fiber, this removes the excess oil present and the antioxidants help against wrinkles and dark spots. A mixture of honey and mashed strawberries is great against dull skin.